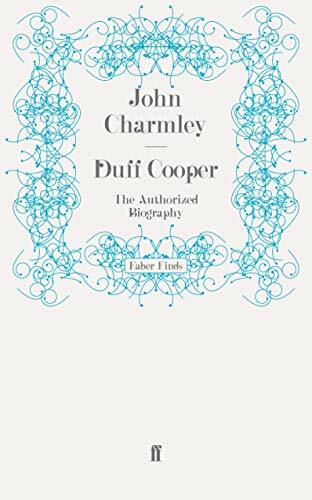 Politician, diplomat, scholar, lover, gambler and bon viveur, Duff Cooper lived life to the full. After winning the DSO in the First World War, he wooed and married the greatest beauty of the day, Lady Diana Manners. Becoming a politician, Duff Cooper had an important ministerial career until his resignation over the Munich Agreement. Called back to office by Churchill, his chequered wartime career culminated in a successful spell as Ambassador to France. 'Duff Cooper was beyond question one of the most interesting and colourful pulic figures of his time. John Charmley has written his life with clarity, subtlety and - as most befits the subject - style' - John Grigg, "Observer". 'Mr Charmley's biography is well researched, of genuine interest, and, above all, admirably fair' - Philip Ziegler, "Sunday Times". John Charmley is a British diplomatic historian and a professor of modern history at the University of East Anglia, where he is head of the school of history. He is the author of eight books, five of which are being reissued in Faber Finds. He is perhaps most famous for his revisionist interpretation of British foreign policy in the mid-twentieth century, dealing with subjects like Appeasement and the Second World War with a degree of iconoclasm.